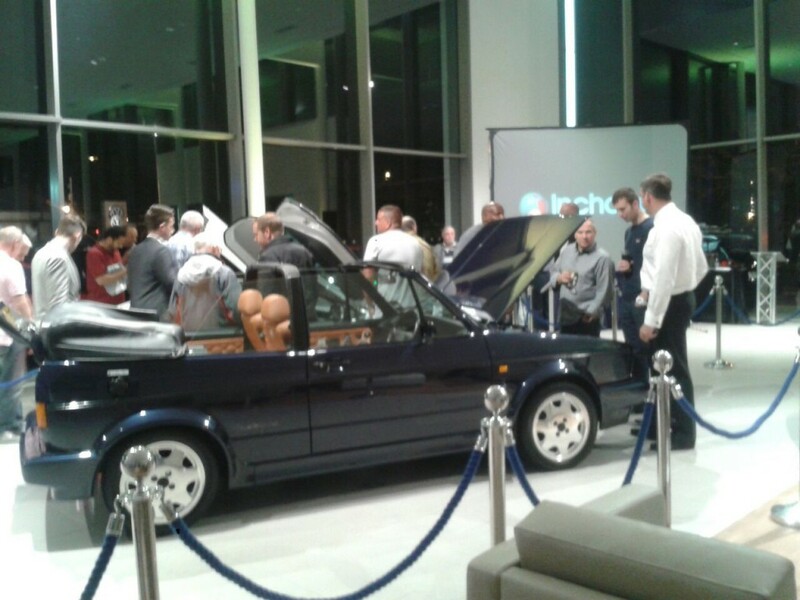 Introducing Steve and Mk1 Golf cabriolet Rivage. 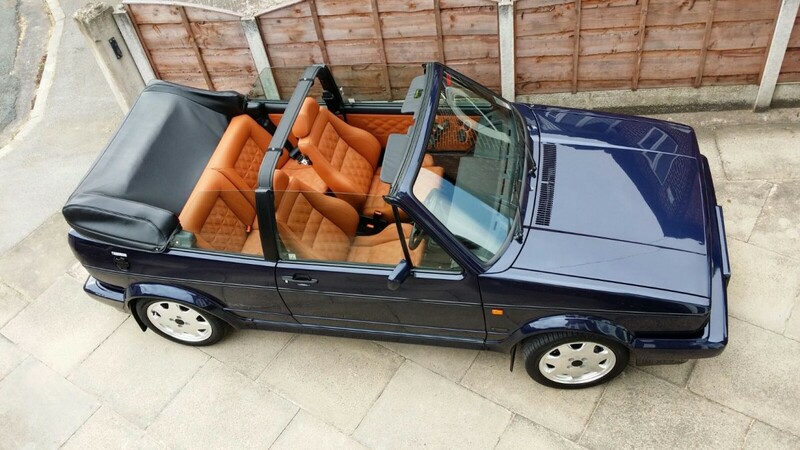 Hi, my name is Steve, I own a late Mk1 Golf cabriolet Rivage. 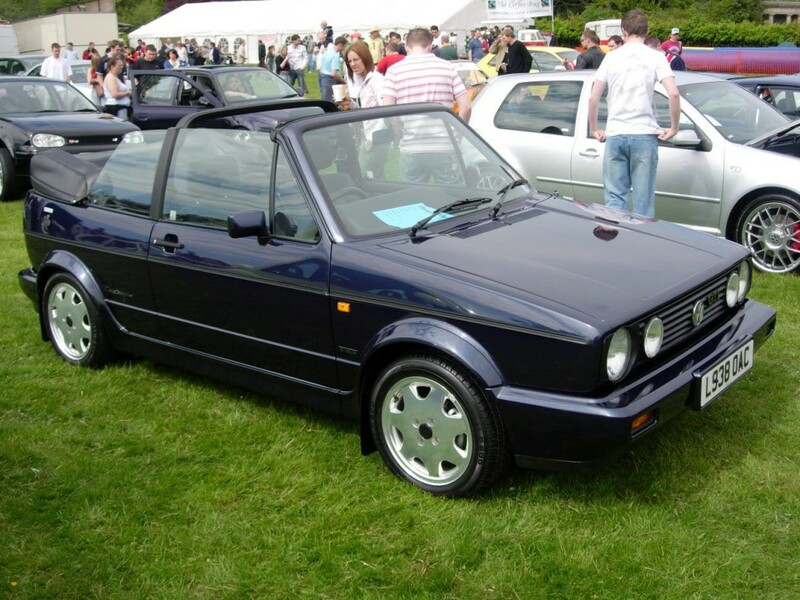 I am a personal friend of Craig who runs this site and have shown my car in the Eurowerks display stand several times, so I am no stranger to the car show scene and some of you may have seen my car before at various VW shows over the 10 years or so that I have owned the car. When I first bought her, she had 9,646 miles on the clock (currently around 19,000) and had been loved by a gentleman in Hertfordshire for the 12 years previously. She has always been garaged and while I have owned her, she has benefitted from being in a heated garage and only been wet a dozen times (ten times having her annual wash and twice whilst driving to important shows). 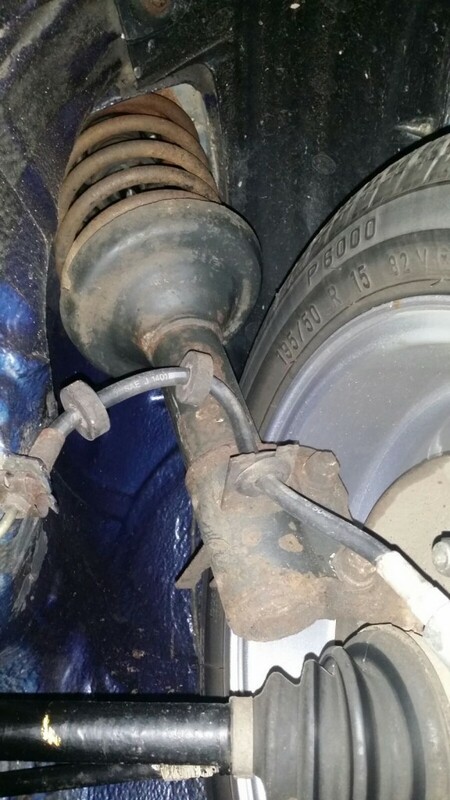 As a result of this, the condition of the car is quite amazing for her modest 23 years. Initially I was showing her as a totally stock concourse car as when I bought her, she even had the original tyres and spark plugs from factory. In retrospect, maybe I should have stored her like this and never driven her. But I bought her to enjoy and I have tried to strike a difficult balance between protecting her for the future whilst enjoying her now and showing and maintaining her as a fully safe working car. This of course will at times eat away at that precious genuine originality. But in order to maintain her and keep her in tip top show condition, difficult decisions had to be made. “Rosie Rivage” (as she is known to me) was one of the 470 UK cars which had the original cloth trim from factory and being such a late car, she had the grey and black interior with black carpet rather than the earlier blue interior with blue carpet. It was quite nice, but secretly I was always just a little disappointed that she hadn’t been one of the 252 UK cars with factory cream leather interior with cream carpet. This was something that was to play an important part in what was to come and I hope that you will all be able to see the benefits of what I have done and forgive me for now for what might on the surface seem like madness.. But bare with me and I will explain all..
Another niggle of mine was the car audio. 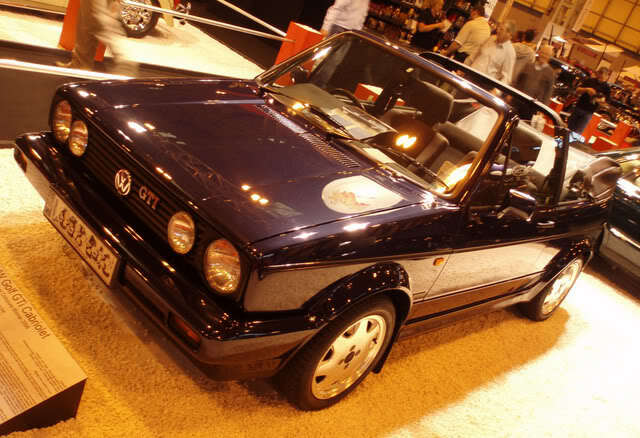 Let’s face it, the Mk1 golf cabriolet had evolved from the hard top driver’s car which defined the early 80’s hot hatch era into a fashion statement which was the cabriolet to have and defined the late 80’s “file o fax, yuppy” generation. 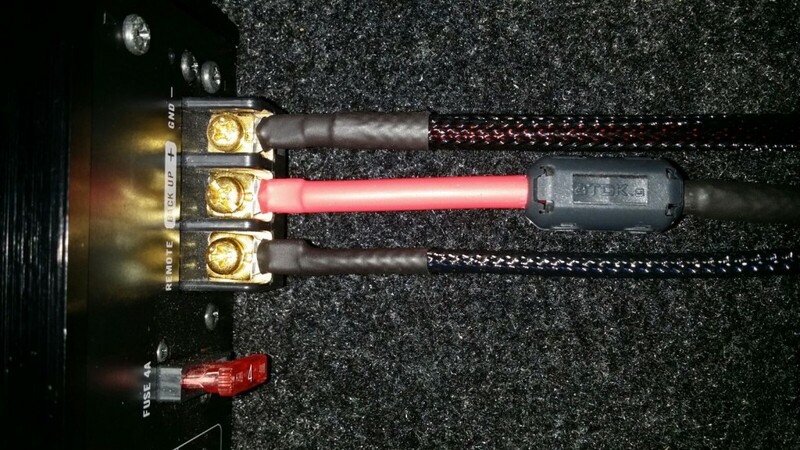 Back in the late 80’s and early 90’s, car audio was a booming business (no pun intended) and for me the audio performance from factory was terrible and even with after market upgraded components was abysmal to say the least. How do I know this?.. Because I tried desperately to subtly improve the audio performance in Rosie without affecting that originality which is so precious to me. It soon became apparent that I couldn’t get decent performance from the car audio from the standard fitments, despite how much money I threw at components. So I made the huge decision which brings me to where I am up to with the car today. I had to either put up with the shocking audio performance and always wish I had the leather interior, or buy new seats and build more acoustic door cards and speaker pods and get the whole lot trimmed in leather. Making that decision was a really difficult one but allowed me to do what I needed to do to turn the car into the car I had always wanted, without causing any damage and at the same time protecting the original interior for the future. 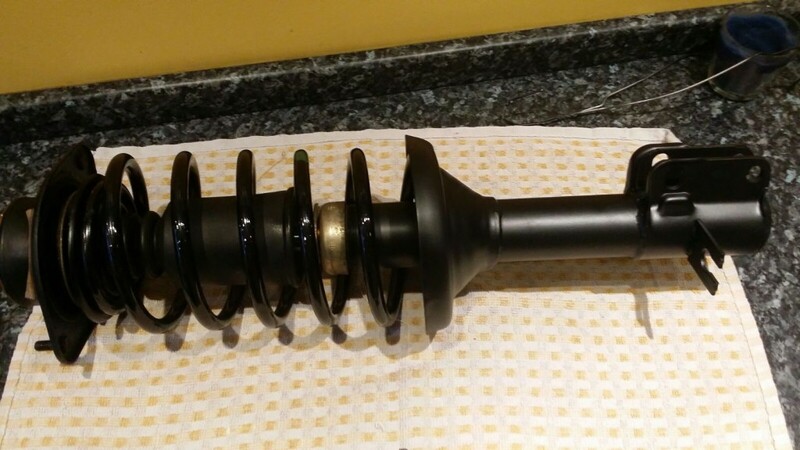 Given that the car was a concourse winning show car as standard, winning at shows such as Edition 38, GTI international, All types, Tatton Park etc and also featured in the NEC in Birmingham in the Meguiars show stand, I had to make my new interior and stereo to the highest standards achievable to justify the changes. The interior couldn’t be just a copy of the original. It had to be better in every way. 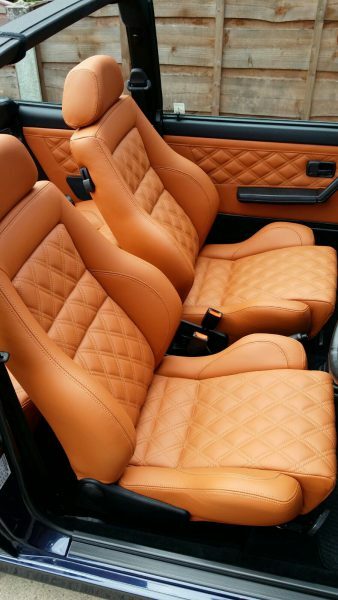 Not only in colour and quality of leather, but also seat choice and design. The Sportline golf seats were the obvious choice and so I sourced the best pair I could find, restored the sub frames with fresh paint and fitted new runner guides etc. 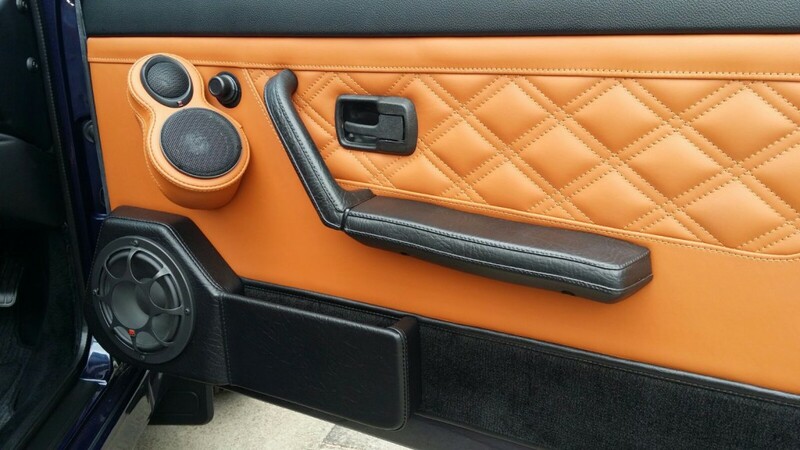 I waited until I was happy with the stereo before I sent everything to be trimmed in leather as the challenge of making the car sound good was to be the biggest and most difficult thing to get right. 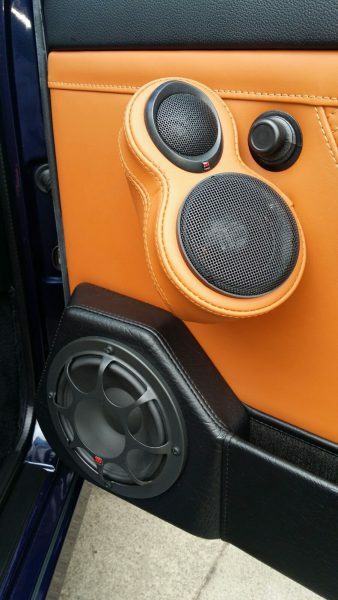 In fact car audio is such a complicated subject that Craig has asked me to go into more detail on all aspects of car audio and installation to give a foundation of knowledge to anyone wanting to tackle anything similar. So following this introduction, I will (in depth) cover everything I have learnt along my journey in bite sized chunks. 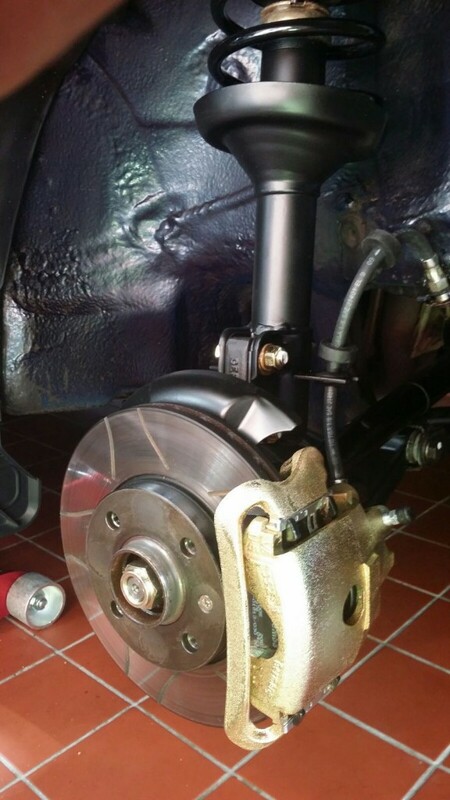 So for now, I will leave the stereo talk there and leave you with some pics of how the car is now with the interior, stereo build and also a few pics of my more recent front suspension restoration. (not that she really needed it, more that she deserved it and I am a perfectionist). Thanks for looking and I hope you like Rosie Rivage. 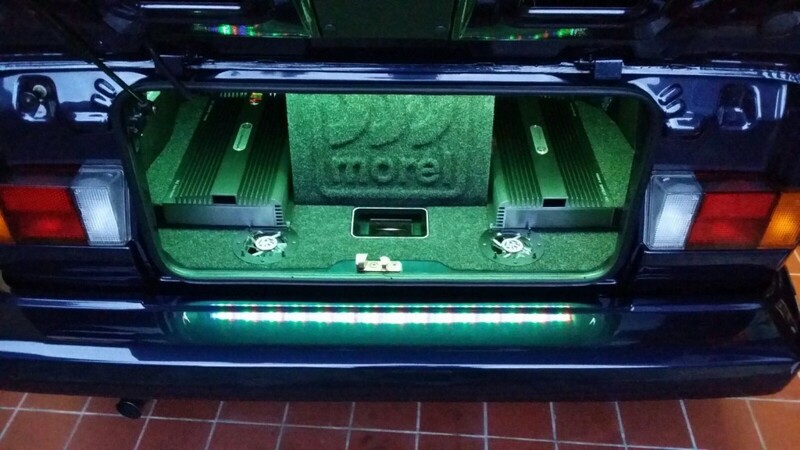 If you are interested to learn more about car audio, please check out my future posts on here. Thanks.